Like walking on a rainbow. 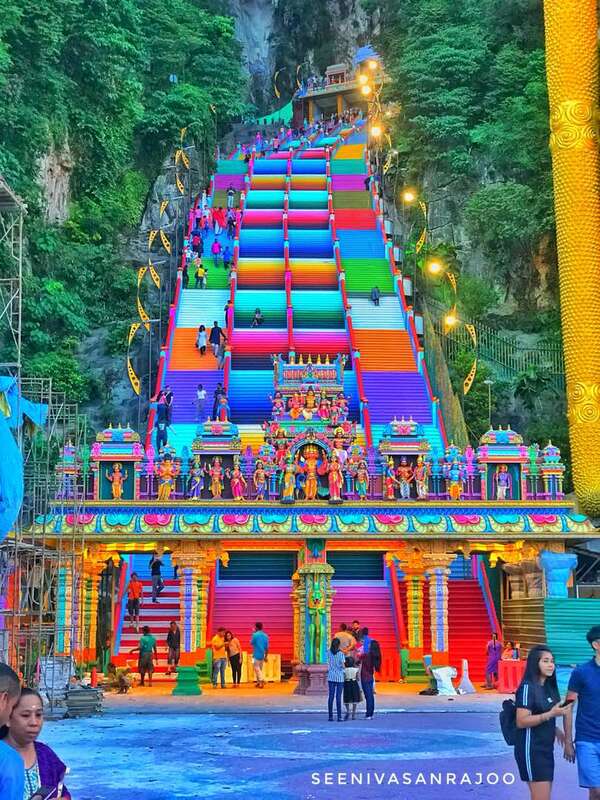 Most Malaysians have always known the famous 272 steps leading to the entrance of the Sri Subramaniar Swamy Temple in Batu Caves as being in the very common red and white colours that are associated with most Hindu temples. 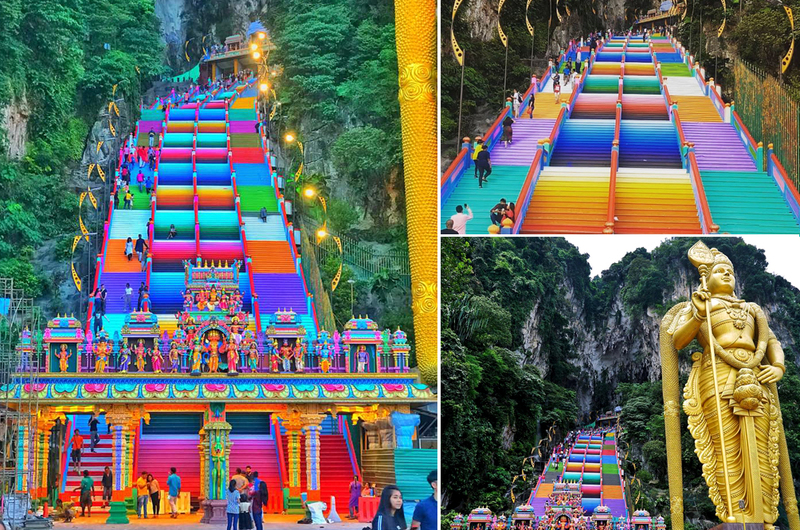 However, visitors of the renowned temple received a pleasant surprise that could only be described as a feast for the eyes after the sombre stairs were transformed into an Instagram-worthy background with a myriad of colours seemingly overnight. 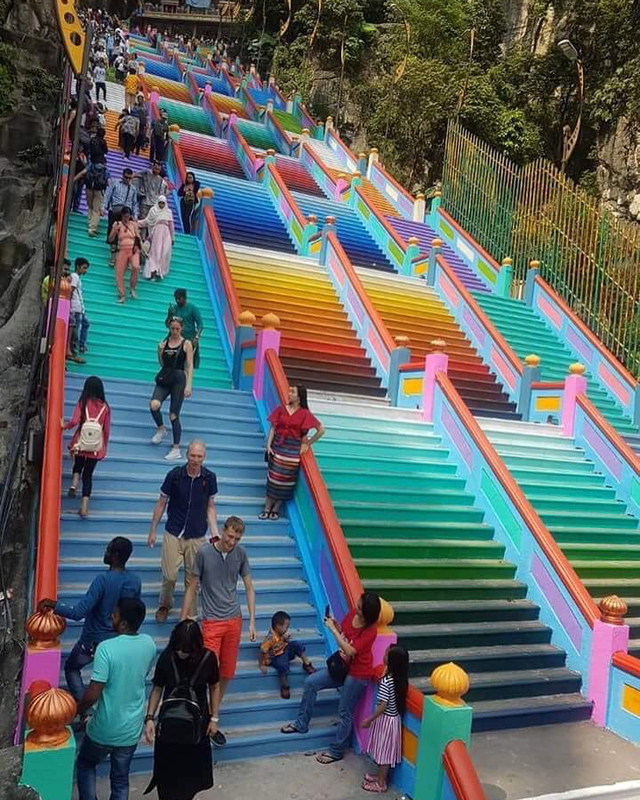 The stunning paint job done in a gradient pattern became the talk of the town after a photo of it was posted online by Sri Maha Mariamman Temple Devasthanam board member, Seenivasan Rajoo. 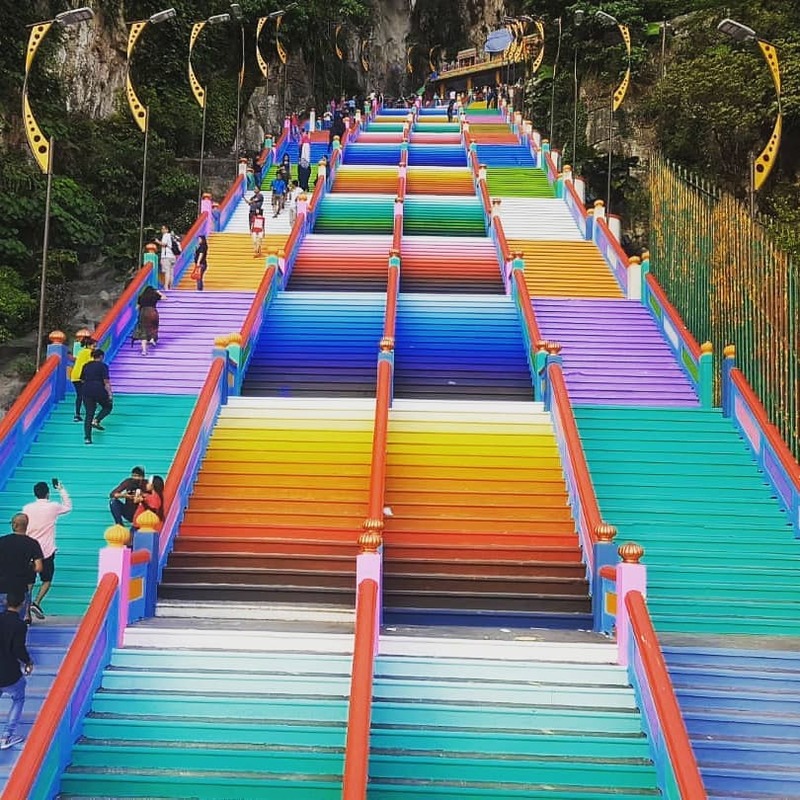 Seenivasan told Rojak Daily that the idea to vamp up the stairs leading to the temple was the brainchild of Sri Maha Mariamman Temple Dhevasthanam trustee Datuk Sivakumar Nadarajah. “He came up with the idea because he wanted something out of the ordinary to make the temple more colourful and lively. “He said instead of repainting the stairs in the usual red and white paint, why don’t we add more colours to make it more vibrant? All the board members, especially the chairman Tan Sri R. Nadarajah, thought it was an excellent idea and approved it immediately,” Seenivasan explained. Seenivasan said painting works started last week and it only took three days for it to be completed. “The stairs’ undercoating works started three days ago and it took about 20 volunteers and temple workers to get it done,” he said. Seenivasan said he was completely blown over when he saw the completed job and couldn’t resist taking a photo of it. “When I laid eyes on the colourful stairs, I was mesmerised. So I took a photo of it. I am not a professional photographer but I have passion for photography. "After I took the photo and seeing how colourful it was, I decided to make it more vibrant and edited it with a photography app," Seenivasan. However, he did not expect his work of 'art' to blow up the way it did on social media. “After being pleased with the app’s effects, I posted it on my Facebook page. The page garnered unimaginable attention and I did not expect it to go viral. To date, it has been shared over 5,000 times,” he said. Seenivasan said the temple and its vicinities are receiving new coats of paint and other up keeping works because of the upcoming Kumbhabhishekham ritual. The temple’s honorary secretary C. Sethupathy explained that Kumbhabhishekham is a holy Hindu ritual that is believed to homogenise, synergise and unite the mystic powers of the temple and deity. “In Hinduism, every temple has a calendar period of 12 years to go through cleansing or rejuvenation process. The calendar period starts from the year a particular temple is built. This process or ritual is called Kumbhabhishekham, which only takes place once in every 12 years. “Many people would unknowingly pass comments and judgements on temples that look unkempt with chipped paint and what not. What these people are unaware of is the fact that such up keeping work, especially on the main architecture of the temple, can only be done once the 12 year cycle is completed. “Every temple will go through this Kumbhabhishekham. For the Batu Caves temple, the Kumbhabhishekham is on 31 Aug, where prayers will take place to cleanse and inject back ‘energy’ into the temple. “Part of the ritual is the sprinkling of holy water on top of all the temple gopuras in Batu Caves, which will happen simultaneously,” he explained. 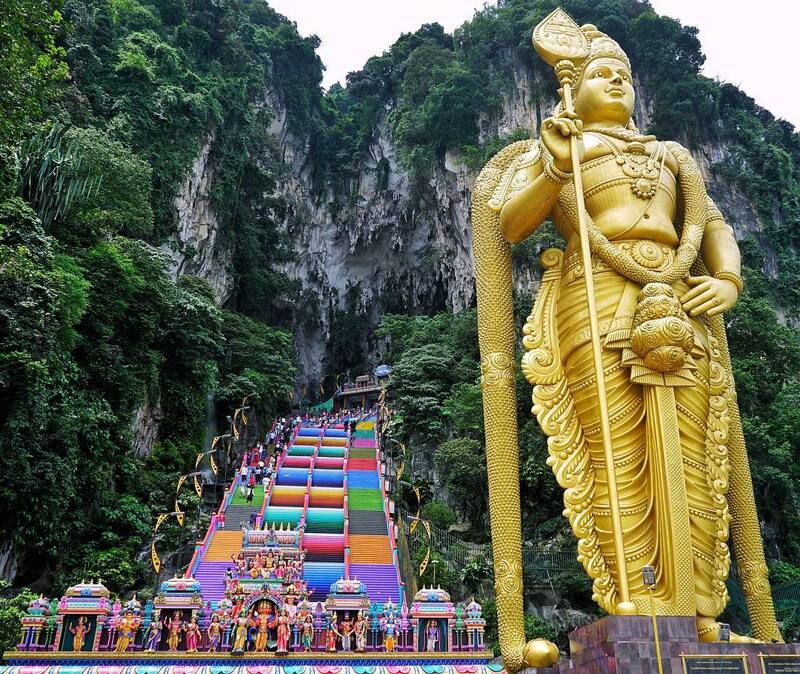 Sethupathy said in preparation of the Kumbhabhishekham in Batu Caves, major renovations amounting to RM5.5 million took place from as early as this year. 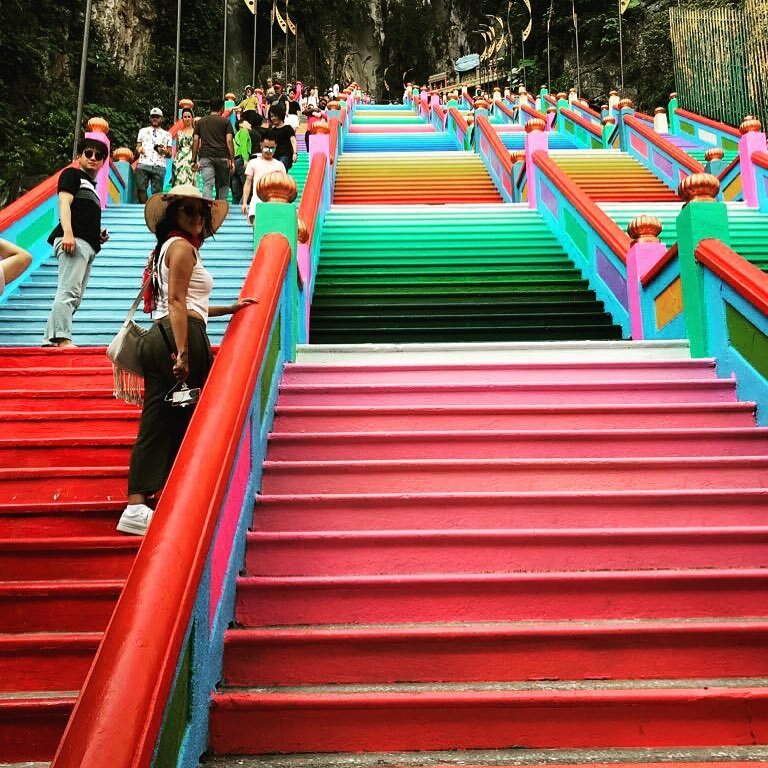 So, folks, head over to Batu Caves this weekend to get your colourful Instagram shots.